The Allusion Model 125 Consent is an open-top holster formed with premium full grain leather which is wrapped and laminated around a thermal-molded synthetic core. This liner promotes a quick draw and effortless reholstering while also housing a trigger-guard detent for enhanced weapon retention, a feature not normally found on leather holsters. 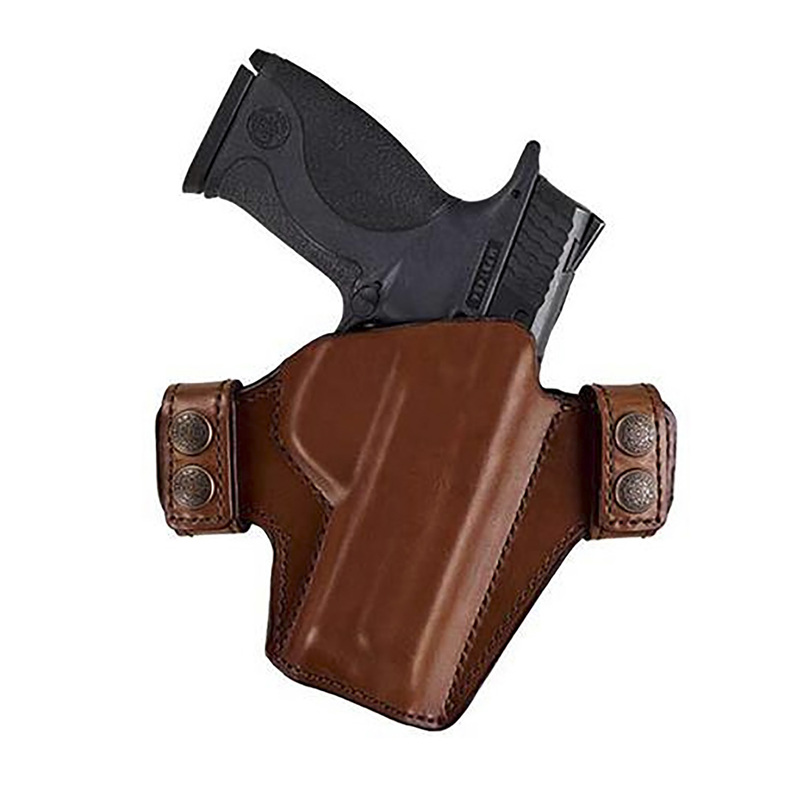 Features two modes of carry with a dual snap belt loop for high-ride hip carry and an extra set of belt loops for wearing inside the waistband.